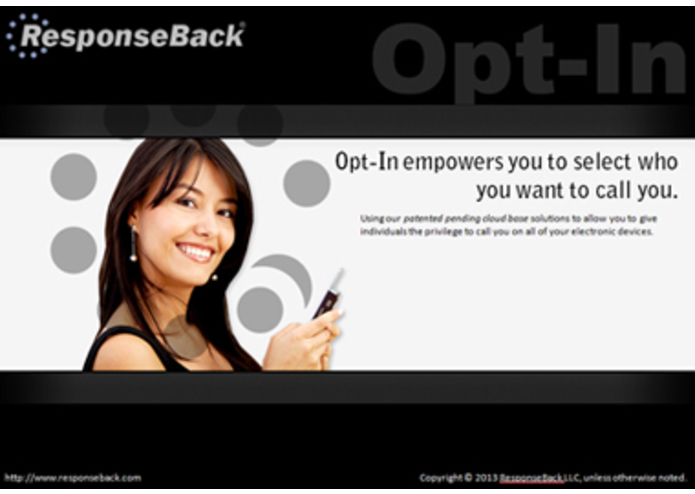 ResponseBack patent pending Opt-In cloud base service allows anyone to setup a universal Opt-In List that can work on all of their electronic devices. ResponseBack Opt-In service is a cloud base service that stores user’s opt-in list on a server that can be access by any telecommunication company, social network or phone app by utilizing our Opt-In API modules. There are apps that are currently In the market that allows you to stop unwanted calls but do not allow the caller to be requested to be opt-in nor does it allow you to transfer your opt-in list to any other electronic devices. Opt-in anyone that request to be opt-in on any social network or phone company account Web site. 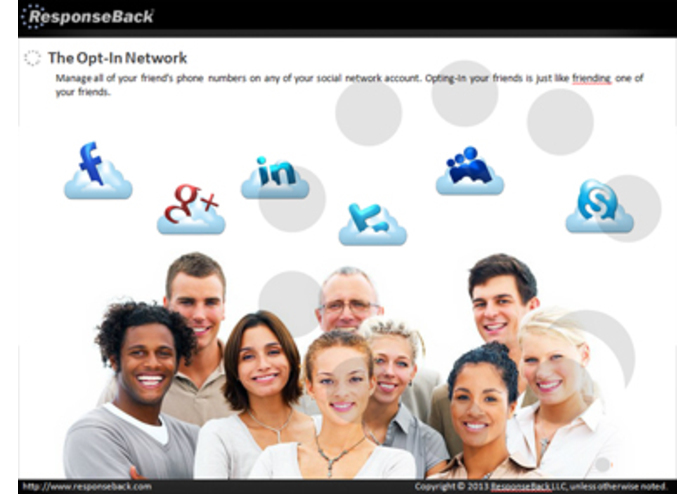 Manage all of their opt-in list on any social network or phone company account Web site. Allow certain phone calls to go through that are deemed important without having to opt-in the phone number. Calls such as automated calls by political parties, charities, and health care providers, as well as reverse 911 calls are phone numbers that are register in the database as calls go through.